Many of us grew up with that great Hanna-Barbera cartoon, "Fred Flintstone" so much a part of our TV watching that we can probably recall most of the opening and closing sequences involving a quick panorama of imagined Stone Age equivalents of McDonalds, Ford cars and modern US domestic life. The humour of the cartoon lay in the contrast of the sophistication of the town of Bedrock at a time when the more usual representations of Stone Age people were of wearing a few rough skins and grunting while knocking each other unconscious. The Flintstones and the Rubbles were shown as people who, in their own way, were modern in their approach to domestic and communal technology. So which is closer to the reality of Stone Age culture? Come to that, how did the Stone Age get its name, and who got to name it? So what do we mean by "Stone Age"? "The Stone Age" was invented in the 19th century by a Dane, Christian Thomsen, building upon an eighteenth century proposal to classify human culture by reference to tool making, into the three ages of Stone, Bronze and Iron. One drawback with this model is that it is based only upon Europe. This means that problems occur in applying it elsewhere, such as certain metals being unknown in some countries or simply not widely used until the indigenous inhabitants made contact with Western European culture. And by classifying human culture in this way we end up with reports from other countries where a people are said to "living in the Stone Age" because they still use stone querns for grinding cereals, or use clay ovens. So, before we can begin to think about Stone Age culture, we have to decide what we mean by "the Stone Age". 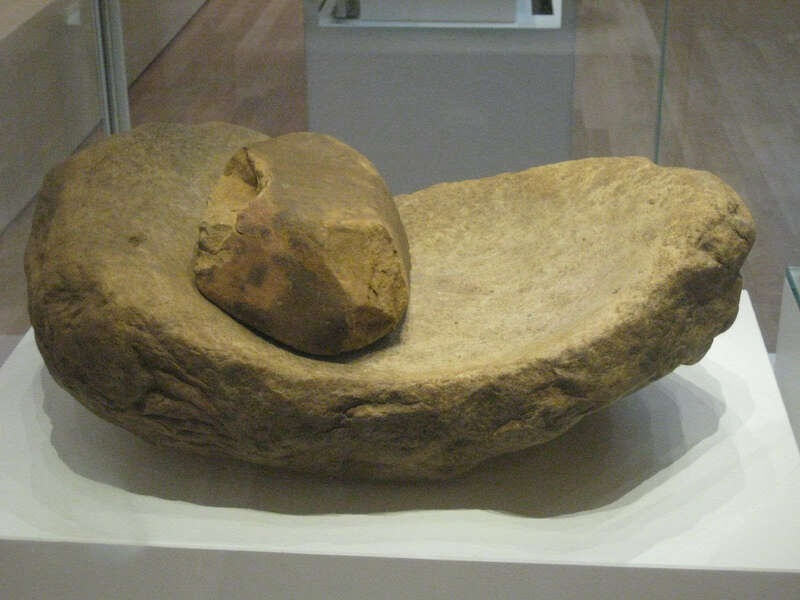 There are a number of disputes as to when the Stone Age begins, with one claim being that it should encompass any form of usage of stones as tools, however rudimentary. By this reckoning, the Stone Age could be held to have begun around 2-3 million years ago. However argumentative the dating of the beginning, it seems to be generally agreed it ended between 6000 and 2500 BCE, depending on what part of the world is under discussion. The Stone Age is divided into the Palaeolithic (Old Stone Age), Mesolithic (Middle Stone Age) and Neolithic (New Stone Age). The Palaeolithic is further subdivided into three phases with the more recent of these periods lasting from around 35,000 years ago until around 8000 BCE. This period is famous for its cave paintings, development of stone technology and the time when the settlement of the Americas took place. This is the end of the last Ice Age. By contrast with the long periods of the Palaeolithic, the Mesolithic only lasted 4000 years or less to around 4500 BCE. The retreat of the ice enabled more complex social structures to develop, and this was the time when the dog was probably domesticated. It was the Neolithic that saw the development of agriculture and gradual domestication of other animals. Social organisation began to make use of different tools both for domestic and other purposes, as well as building large scale structures for ritual purposes, such as the early phase of Stonehenge. It ended around 2200 BCE. Fred Flintstone as Van Gogh? Although something that is recognisably Homo Sapiens first appears around 195,000 years ago, another 100,000 years passes before artefacts are produced that might tentatively be classified as artistic, as they are too fragile to have been useful for any practical purpose. But the first sign of what is argued to be true humanity – the use of symbolism – is usually agreed to be Palaeolithic cave art. The most famous expositions of these are found in Europe, especially at Lascaux, though later rock art using very similar images has been discovered in South Africa. Until very recently (less than 5 years ago) Britain was held to have no cave art, but in the early 21st century art was found in Cresswell Crags in Derbyshire. Initially these were thought to be a few engravings or bas relief rather than full blown paintings. However, by 2004 it was claimed that between 40 and 90 carvings had been discovered. Often the artists identified a natural shape in the rock and enhanced that to produce an image of the animal, usually only the head or forequarters. 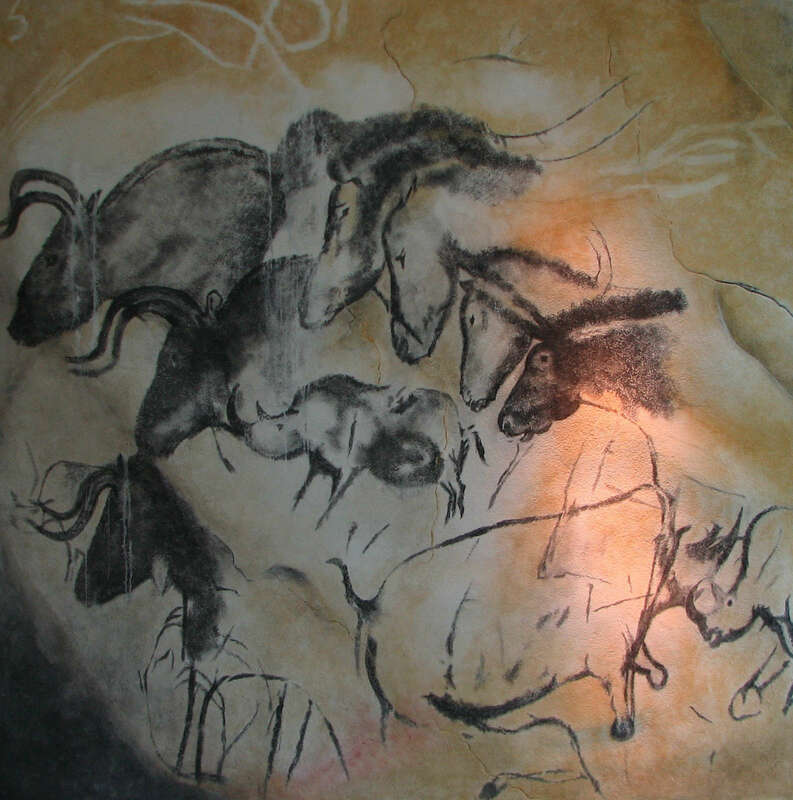 Animals depicted on the cave ceiling include bison, wild horses, bears — species which became extinct in Britain at the end of the Ice Age 10,000 years ago. Species still found in the U.K. today, such as red deer stags, are also recorded in the rock. Other themes include "conga lines" of what are believed to represent dancing women and stylised depictions of female genitalia. 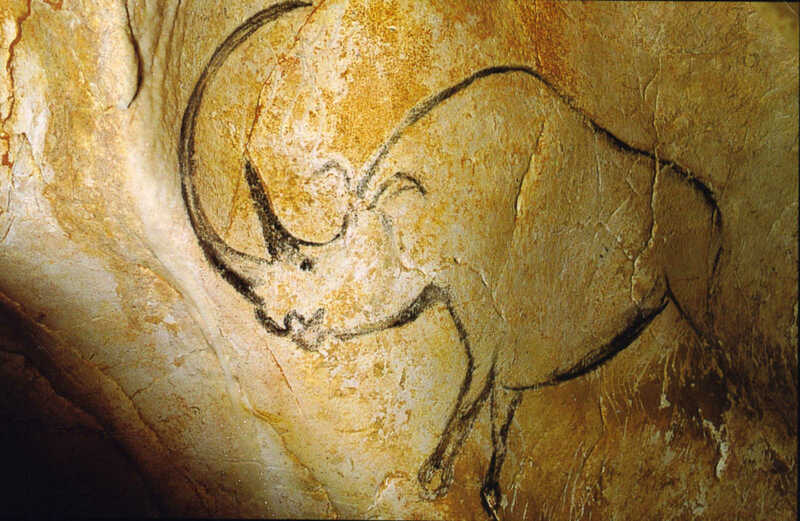 Interestingly, the artwork is representative of the styles and subject matter of continental cave art from the same period. The artwork found on the continent is often painted in caves that are difficult to access and which natural light cannot reach. However, the Cresswell artwork has mainly been found close to entrances of caves where it can best be seen by the light of a good day. This may be due to it being engravings or reliefs that simply do not show up in artificial light so, whereas the inaccessible art would have had to have been painted by artificial light, that would not work with the Cresswell reliefs. But what is the purpose of such work? The predominant theory was that it was a form of sympathetic magic to conjure the beasts drawn to the hunt. Palaeolithic peoples lived on hunting, or gathering what they could from the forests and plains. This would have been little enough, as Europe was covered by ice. Their tools were hand axes or spears – the bow came later. So hunting was of primary importance. However, one problem with this theory was the inaccessibility of some of the continental paintings, which can only be reached with some difficulty, in spaces which might only accommodate one, or a very few, people. These were not sites for group shamanic rituals or dancing. Nor were the Palaeolithic peoples used to living in one place: they were nomadic hunters, following the movements of their prey. These caves may only have been used by a particular people for part of the year. A more recent theory, based on the half-man, half-beast images and geometrical designs found in continental Europe and South Africa, is that these are the product of hallucinogenic drugs as the zig-zag lines and grids are patterns hard-wired into the human brain that may still be experienced by those in a trance state today. More recently it has been proposed that these may well reflect encounters with real entities in a shamanic state. Whatever the answer, nothing similar is seen again until the Neolithic, thousands of years later, and by then the geometry of the symbols is far more defined. The finest examples of British Neolithic art tend to be found in passage graves. Although decoration is also found on domestic pottery or within communal living spaces (although it is uncertain whether the examples from Skara Brae have an implied supernatural connection), the decoration of passage graves is the most elaborate. Of these, Knowth in County Meath boasts the greatest collection. The common motifs used in tomb art include circles, u shapes, spirals, cups, wavy lines, chevrons, zigzags and lozenges, but other forms abound, such as the almost flower patterns of Loughcrew and the handprints or diamonds of Newgrange. Many of the same motifs can be found in megalithic tombs and monuments down the Atlantic coast. Broadly similar designs can be found on other media, such as tools and maces, or the Somerset level Yew bow or Folkton drums from north Yorkshire. 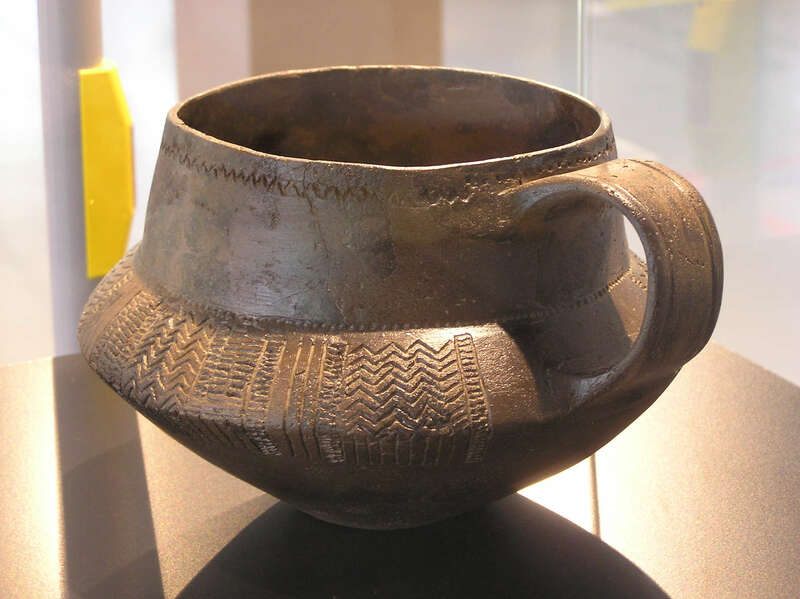 Later Neolithic pottery (especially Grooved Ware) displays many of the motifs and zig-zags are common to the mid to late Neolithic Peterborough Ware. Some of these designs would be relatively simple to weave into cloth and it is not too far fetched to suggest that they may have formed clothing, or bed or wall hangings in a Neolithic home. The gap between Palaeolithic art and that of the Neolithic is puzzling. It would be unreasonable to suppose that people stopped being creative, or using symbols, but we lack any evidence in Britain or Ireland. This is frustrating and, in part, it may be because the small amount of art found on the continent indicates that rock art of this period came out of the interior onto the rock wall. If that was a general shift, then the persistence of the ice in Britain and Ireland might have prevented that development. Another theory lies with the nature of the Mesolithic period as a time of transition. The ice sheets were melting away and the plains and valleys were becoming seas and rivers. Vegetation flourished. The great beasts of the Ice Age disappeared and were replaced by smaller animals, which meant that the nature of hunting changed. It would not have been so necessary to hunt in large groups, both to bring down the great mammals of the Palaeolithic nor to render the carcass to meat for transportation back to the camp. During the Mesolithic the bow was invented, along with a more useful axe and other implements, especially for fishing. There is evidence of some settlements, though these were not permanent, and the harvesting of wild cereals. Where farming occurred it was light-touch: more in the nature of taking what the land offered rather than managing the land to produce what was wanted. Research has shown that the hunter-gatherer lifestyle cannot be sustained in high numbers, with the norm being around one person per square kilometre, though this can increase to as much as five people per square kilometre in lands full of rich and predicable food. The estimated population of Britain during the Mesolithic is therefore around 24,500 people. This could have risen during the Neolithic as farming practices became more widespread. Due to their geographical isolation from the rest of Europe, the Mesolithic communities of Britain and Ireland seem to have been unaware of the huge changes occurring on the continent until fairly late, which enabled the Neolithic to break upon these shores as an almost complete package in terms of domesticated varieties of crops and animals, together with technology and know how. There is still debate among archaeologists as to whether this suggests a migration of people or simply a migration of knowledge and products. Whichever it was, it brought about massive changes in the domestic lives of people. The development of farming meant that settlements could be built close to natural resources, such as flint quarries. Raising crops enabled surplus food to be stored and used to sustain a higher population of settlement. The move from bone tools to flint and stone also enabled communities and individuals to specialise in craftsmanship and to trade. Certain types of ceramic goods became highly popular and were traded over wide areas, such as Peterborough ware. In the same way that the decoration and elaboration of domestic pottery became popular so, too, houses themselves became more elaborate. The majority of the remains of Neolithic houses are found in southern and central Europe, where they indicate long established settlements comprising houses built of timber and covered in clay, and often subdivided into several rooms. In colder climes, similar structures were built, though the settlements were far smaller, with only a handful of houses, and indicate a pattern of movement of settlements. This means they are harder to locate as they did not leave the telltale mounds of continuous dwellings where new houses were built on the site of old ones. Finding evidence of Neolithic dwelling places in Britain or Ireland is even rarer. In 1996 England and Wales had an estimated 65 sites, containing little over 109 buildings, with the most common location for settlement survival lying beneath later barrows and cairns. Agriculture seems to have destroyed most of the evidence of post holes, surface scatterings or soil evidence, or causewayed enclosures. What is left to us indicates a prevalent rectangular or squarish long house pattern in the early Neolithic, though Crickley Hill in Gloucestershire is unusual in that the earliest buildings are round, with the later ones being rectangular. Crickley Hill also serves to demonstrate the usual feature of fortification and causewayed structures of Neolithic enclosures, which is probably better known to most people as a feature of larger, ritual, sites such as Stonehenge or Avebury. Some settlements also had a trackway – a raised wooden walkway over wet ground – to link communities, the longest known being the Somerset Sweet Track, which demonstrates a level of communal effort and organisation that would also be involved in constructing the larger longhouses, though these were generally a more modest 4 to 7 metres in length. The skill of workmanship displayed in the wood retrieved from wetland sites indicates the houses must have been well finished and were probably decorated. Unfortunately, hardly anything is left of these buildings to give us insight into Neolithic domestic standards and, were it not for Barnhouse, Rinyo and especially Skara Brae in the Orkneys we might never have understood how high these standards were. Sometime between 3100BCE and 2500BCE a small community built itself some stone houses in what was thought to be a midden heap on the mainland in Orkney. In fact, the midden theory has been largely dispelled by excavations at another Orkney site at Barnhouse, which indicates that the houses may have been covered with turf for protection from the harsh climate, with the turf later collapsing and became mixed with food remains and other debris. Due to the paucity of wood in the islands everything had to be built from stone, and that, together with the storm that revealed the find in the mid-nineteenth century, comprise rare strokes of luck to enable us to gain an insight into the mind of Neolithic people. The walls were built in the same way as dry stone walls, with thin layers laid horizontally. Each house is built to the same design, and there is evidence that there were earlier houses on the same site, which were built over and whose materials were probably re-used when it become necessary to rebuild or extend the community. The houses were linked by covered passageways and there is some evidence that the entrances to the whole complex had a stone slab drawn across it to close it, and there was another doorway within that which was able to be barred with something that could be set into a long slot in the wall. In the same way, each house could be barred from the inside. The community had an internal drainage system that may have been linked with larger recesses in some of the houses that may have been an internal toilet. Being sunk below the level of the surrounding ground, once the buildings were covered with wood, skins and other material, the cold and wind would have been better kept out than in a standard Iron Age round hut. Other sites in the Orkneys, though damaged by ploughing or other modern activities, indicate that this style of building was relatively common for the place and time. Each house had a central hearth bounded by upright kerb stones. Opposite the entrance is a stone dresser, with shelves, and elsewhere each house has other square recesses for shelving in the walls, notably by the beds. Between the dresser and the hearth, facing the entrance to the house, was a large stone that may have been the seat of the primary person in the house. On either side of the central hearth, and the fuel for a fire must have been dried turf or animal dung. The roof of turf and skins would have been laid over whatever timber could be obtained, or whalebone, with some sort of exit for the majority of the smoke from the fire. The central position of the dresser, facing the doorway, might indicate that it held the families’ prized possessions, for display to visitors. Or perhaps it functioned as an altar. As nothing so far has been found so far of the possessions of the inhabitants, it is impossible to be sure what its function was. On either side of the line between the doorway and the dresser, against the walls, were built stone box beds. These are thin stone slabs propped up against taller corner stones to provide a sleeping area protected from draught. Skins or woven cloth could be draped over the bed from these corner posts to enhance the protection from cold. As the sheep of this period did not produce the soft wool we are familiar with, the beds would have had to rely on dried heather, bracken or straw for comfort, with skins to cover the sleepers. The right hand bed is always larger than the left, and there has been speculation that this indicates a gender division. Each house has three or four boxes or tanks sunk into the floor, which may have been for drinking water, or to soften limpets. Limpets are not particularly good for eating, but work very well as bait for other fish, though they have to be softened first. That can take a week. Large amounts of limpet shells have been found around Skara Brae so we know extensive use was made of them. The tanks could have been a sophisticated method of timing when each batch of limpets was ready for use. Some of the larger recesses or cells in the walls could have functioned as toilets, where they emptied directly into the drainage system or, where they did not, as storerooms. Over 2000 beads and pendants have been recovered from one of these. 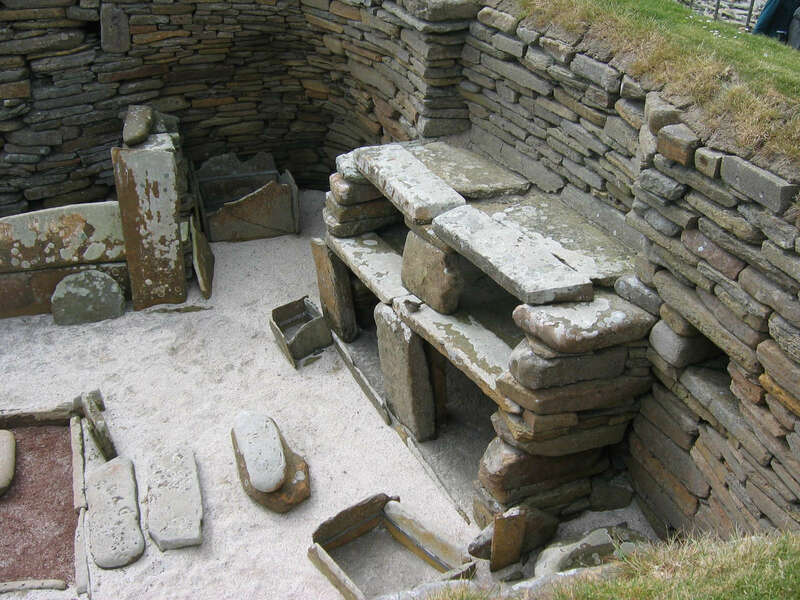 In addition to the ‘normal’ houses, there are two other buildings at Skara Brae, one of which is a detached building without the usual stone furniture though with recesses for storage and with its own annex. Both the structure and the annex contained debris from the manufacture of tools which led to the speculation it functioned as a workshop. In addition to the workshop, house 7, though otherwise like any other structure, had a recess in the wall on the outside, by the doorway, that is linked with the drawbar that barred the door from the outside, not the inside. Decorative carvings are to be found in the workshop, on the bed in house 7 and some of the passageways and, under the bed in house 7 were the skeletons of two women. Skara Brae may be the height of elegance for Neolithic living, but we have a fair idea of ordinary domestic life from this and other sites. 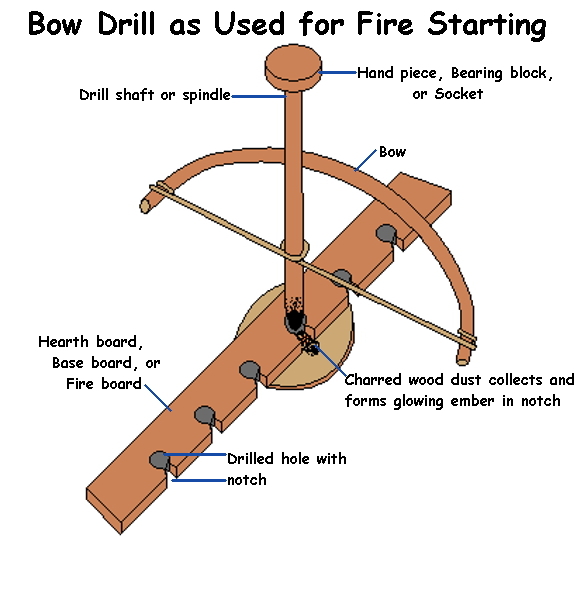 The invention of the bow drill enabled fires to be lit more readily. Indeed, it would be possible to take a bow drill on a hunt. Clay ovens mean that not all cooking took place over an open fire. We do not know – apart from the firelight – how houses were lit. Pigs, sheep and cattle were farmed, together with wheat and barley. Cereals or acorns would be ground on a stone quern and bread could be cooked as flat cakes on heated stones. Gruel may have been a mainstay of Neolithic life, as it remained through to the early medieval period. Beer could be brewed. Knives of sharpened flint might be used for cooking as well as hunting. We know from Skara Brae and other sites that fishing or hunting birds as well as other game was extensive. As the lathe had still to be discovered, at this time the manufacture of tools, either for hunting or domestic purposes, would have been done by hand, through the time consuming method of working one stone against another to achieve the desired shape. Wood, bone and skin would have to be fashioned by using stone or bone implements. Although we cannot be sure what clothes were worn during the Neolithic it will not have been rough skins bound together with string from plants. During this period weaving was invented using a loom with warps (vertical strands) weighted by stones which had had a hole carved into their centre through which the warp could be tied. Weaving would enable patterns to be woven into cloth. Despite there being no surviving evidence in cloth, given the decoration stamped into pots it is reasonable to assume that cloth for clothes or home decoration might have patterns woven into it. One of the outstanding features of the Neolithic is the monuments left of their ritual life which, being built mainly of stone, have lasted as part of the landscape. In the Orkneys we know of over 80 chambered tombs, though more have probably been destroyed before the modern age, including the great Maes Howe. There are the super henges of Wessex and earlier cursuses and causewayed enclosures, as well as innumerable cairns and tombs. The Atlantic coast from Spain to Scandinavia was home to the megalithic tomb builders who constructed marvels such as Gavrinis, Carrowmore, Newgrange or Knowth. Although tombs were the earliest communal constructions, the first sites that represent the involvement of whole communities were causewayed enclosures. 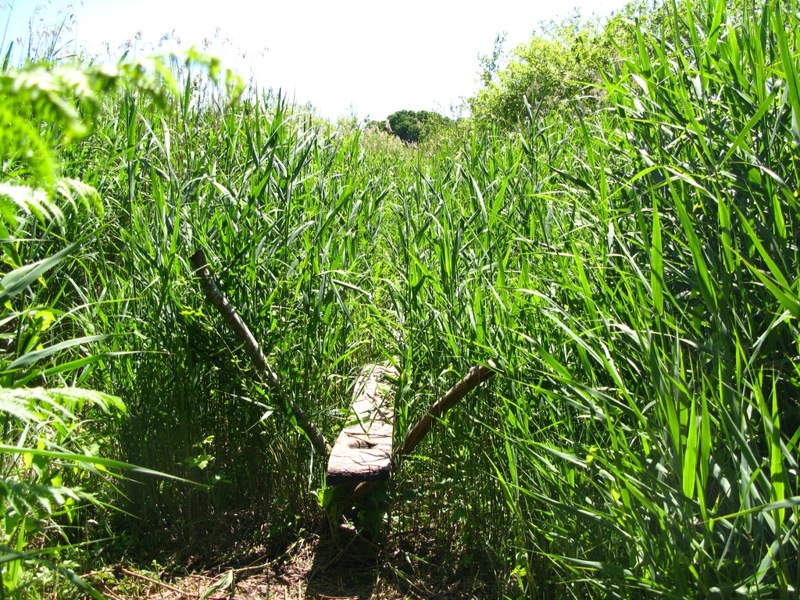 These were banks and ditches interrupted by bridges (causeways) giving access to the open ground enclosed within, which was generally surrounded by dense woodland. Though many of these, such as Windmill Hill near Avebury, were in a prominent position, many others have been discovered in lowland sites by streams or rivers. Some of these were occupied before the construction, such as Windmill Hill, and many different explanations have been offered for them, ranging from market places or enclosures to keep animals to cultic and religious centres. Many sites were reinforced by palisades that, again might have kept stock in and intruders out. Certainly Crickley Hill, with its palisades and earthworks has produced high numbers of arrowheads, as have other sites. But a ritual aspect of causewayed sites is also suggested by the structured deposits – animal and human bones, axes and other tools – in the ditches. For example, the placing of antlers at terminal ends of ditches can only have a symbolic meaning. A tremendous amount of effort seems to have gone into the building of tombs of various types during the Neolithic. By contrast, we have little evidence from the Palaeolithic: only a handful of bodies discovered in Britain. 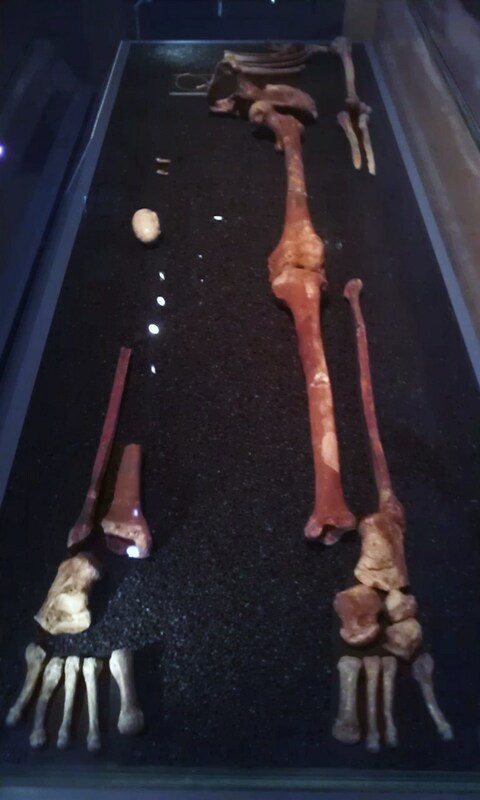 These show the usual features of other Palaeolithic burials: grave goods; a precise arrangement of the body; and, in the case of Goat’s Cave in the Gower Peninsula, a covering of red ochre. The bones discovered in Neolithic tombs are often partial and may be separated into groups by gender. It seems common practice to have defleshed the bones and only used some of them for burial in the tomb. It also appears unlikely that all the individuals from any community had even some of their bones interred in a tomb. 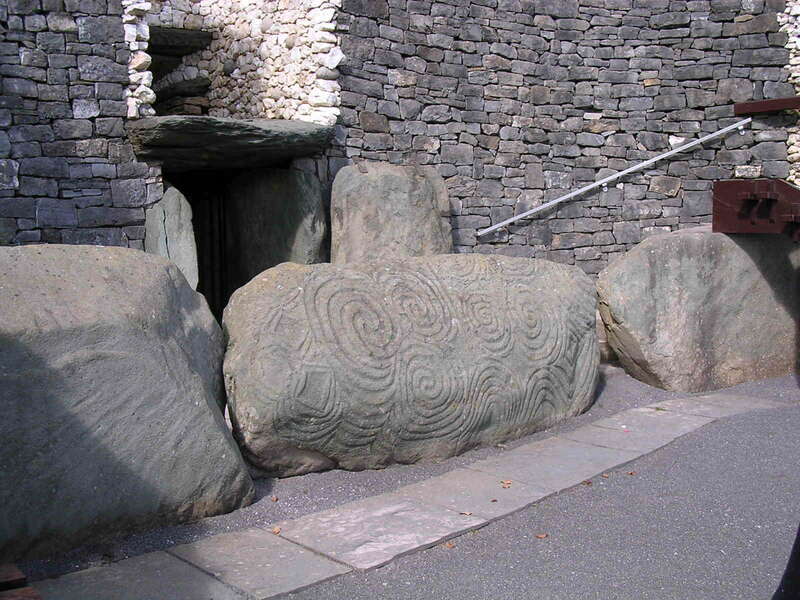 Tombs vary in their design and orientation, though, very generally, there was a move from long barrows to round ones, and, along the west of Ireland, Wales, Scotland and the South West of England, portal cairns became popular, with their capstone balanced over two uprights to mark the entrance to the tomb. The passage graves of Ireland and Scotland give us the most dramatic demonstrations of Neolithic culture in terms of communal industry, art, precise architecture and astronomy. Here we find grand structures built to such careful planning, both in terms of the understanding and manipulation of stone, that the corbel roofs they created have survived to this day. This was allied with the ability to harness astronomical observation to create the ‘light box’ in Newgrange or gap in Meas Howe to catch the sun at the winter solstice, or the equinoctial sunrise at Loughcrew. How were these great structures built? What was their purpose? If we find the skill required to build such structures staggering, in terms of the technology available to such people, then what are we to make of the great henges in Wessex? Before the first Stonehenge was built there were three or four Mesolithic post holes which must have contained massive timber posts. Woodland must have been extensively cleared from the plain to do this, evidenced by a change in the type of snail occupying the site at that time. Some 5000 years later, during the Neolithic, the construction of the Stonehenge we know today started when the bank and ditch and the timber posts were built – but then dismantled. Some form of timber structure was constructed in its place, perhaps a few hundred years after, and then the original bluestone rings set up; as was the Heelstone, probably with a partner slightly to the north. If this stone were still in place someone standing at the centre of the monument would see the Midsummer sunrise framed between these two stones: again, a piece of precision architecture. 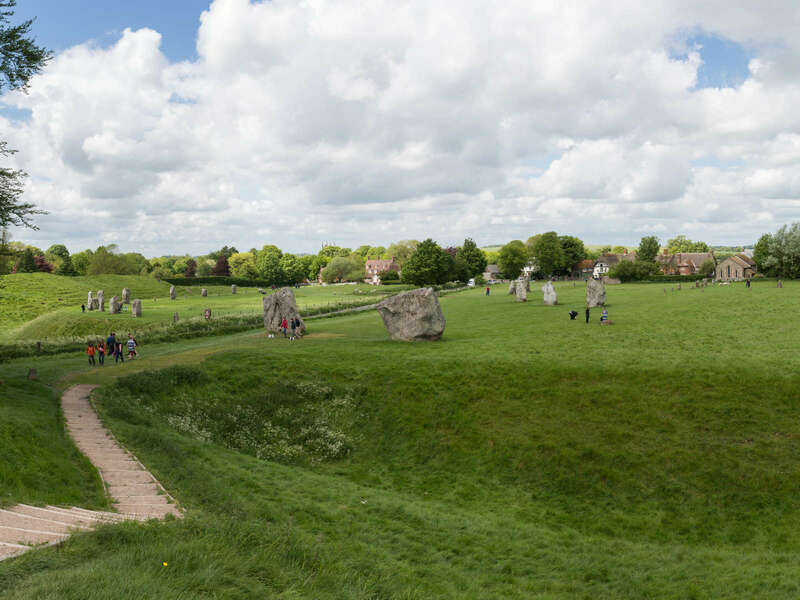 Although Avebury has no such orientation, what remains today, though impressive enough, gives little idea of the depth of the ditches or height of the bank of the enclosure. Excavations in the early 20th century revealed the ditch to be originally up to 10 metres deep, which would have meant the removal of some 200,000 tons of chalk. All this by using antlers for picks and shoulder bones for shovels, some of which were left in the ditch after the labour. Within the bank and ditch stood a ring of stones and, within that, two concentric rings of stones each with another ring within it. All this was put together within a few hundred years after the construction of West Kennet long barrow and the Windmill Hill enclosure. The amount of work involved, stretching over several hundred years, implies that this was an important site for many hundreds of people, but we do not know why. One thing these artefacts imply is that, by the Neolithic if not in earlier Stone Age periods, spirituality, as much as domestic life, was a communal activity. The great builders of the Stone Age, like the great artists, leave us with nothing but mysteries: how did they create what they did and for what purposes? What did the art of the Stone Age mean to those who made it and those who used it? What did the geometric symbols convey, or the female figures? How could a people measure sunrise and sunset at certain times of the year that we now reckon to be solstices and equinoxes so precisely that they could, over many years, build structures that show us still that their intention was to celebrate that particular time? Whatever else the constructions of the Neolithic show us, it is that these were human beings just like us, sharing the same needs and the same ideas about how to make life comfortable, or a wonder about what more there is than day to day life. They may not have left us a handbook about Stone Age cultural values, religion and building techniques, but what they have left us can still show us that they are as skilled and gifted as any craftsman or artist today, and perhaps they could teach us a thing or two about communal work and resolving problems in the face of limited resources. rhino picture: By Inocybe at French Wikipedia [Public domain or Public domain], via Wikimedia Commons. pottery picture: By Bullenwächter [CC BY-SA 3.0 (http://creativecommons.org/licenses/by-sa/3.0)], via Wikimedia Commons. The 'Red Lady' image: Ethan Doyle White at English Wikipedia [CC BY-SA 3.0 (http://creativecommons.org/licenses/by-sa/3.0)], via Wikimedia Commons.